Be the first to share your favorite memory, photo or story of Billye. This memorial page is dedicated for family, friends and future generations to celebrate the life of their loved one. 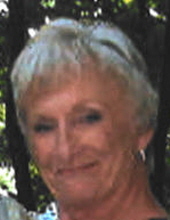 Billye Jane Mucci passed away on March 22, 2019 in Tyler, Texas. She was born on August 14, 1940 in DeLeon, Texas to Bryant William and Geneva Howell. Jane loved working outside in her yard, and enjoyed time at the lake. She loved her children and grandchildren with her whole heart. She was the life of the party and known as the queen of her neighborhood. She will be greatly missed by all who knew her and loved her. Survivors include her husband, Arthur Mucci III; her daughters Rebecca Parr and husband Chris, Teresa Cogswell and husband Dolan and Sonya Haefke; her step children, David Mucci, Donna Mucci, Diane Mucci and Denise Mucci; grandchildren, Whitney Abel and husband Sam, and Miranda Fite; great-grandchildren, Landry Abel and Luca Villagran; her sister, Belinda Fry and husband Howard Kearns; her nephews, Scott Fry and Brandon Fry. Memorial services will be held on Thursday, March 28, 2019 at 2:00 PM at Autry’s Carroll-Lehr Funeral Home in Athens. "Email Address" would like to share the life celebration of Billye "Jane" Mucci. Click on the "link" to go to share a favorite memory or leave a condolence message for the family.